A legacy of high-quality energy-specific standard and line steel tubular products developed, tested, and produced in the United States. 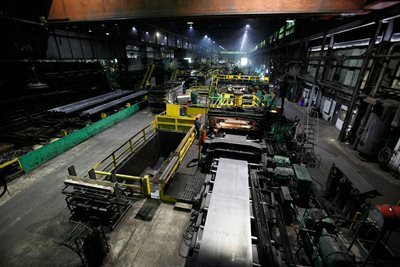 Because U. S. Steel has been in the business for over a century, we’ve developed a wide network of mills and manufacturing methods. Our customers have access to a broad spectrum of specialized standard and line steel tubular products to meet their particular application needs. U. S. Steel’s commitment to manufacturing the finest quality steel tubular products is even stronger today than it was when we went into business over one hundred years ago. We produce seamless standard and line steel pipe by piercing solid billets of fully killed steel, a process that only the soundest, toughest steel can tolerate. Our high frequency electric weld (ERW) line pipe and standard electric resistance weld pipe products are produced by continuously forming coiled hot rolled strip into a tube and welding the longitudinal seam using high-frequency electric resistance welding. Our API 5L steel pipe comes in a variety of wall thicknesses and is manufactured domestically, to order, to meet our customer’s particular application requirements. We produce all-purpose seamless and welded steel pipe for use in generator plants, refineries, compressor stations, natural gas transmission, and steam conduction. 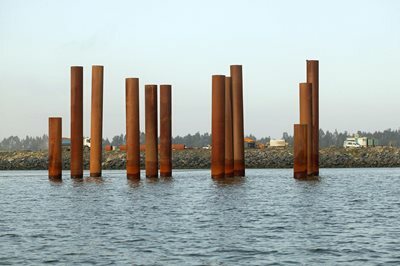 Our steel piling pipe is a structural pipe ideally suited for application in buildings, retaining walls, and other structures needing solid, dependably, quality made steel piling pipe as its structure. Our seamless carbon steel pipe is used in industrial applications involving high heat, including process piping, boiling plants, compression stations and refineries. 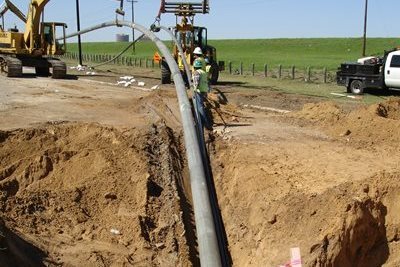 Our cable circuit piping covers electric-resistance weld (ERW) steel pipe used as conduit for the installation of high-pressure pipe-type electrical cables. We are the largest, fully integrated energy tubular producer in North America. 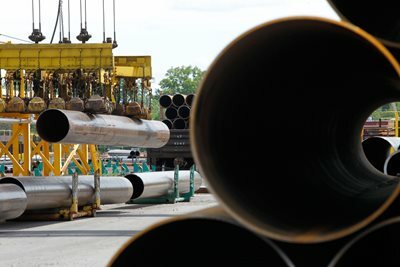 U. S. Steel has full control over every step of the pipe manufacturing process, from melt to final product. We manufacture our tubular products at several U.S.-based facilities that produce high-quality tubular products with low-residuals in a wide range of strength levels with superior toughness. We maintain our legacy of cutting edge product development, applying the latest in technology advances to manage every aspect of our production. Precise regulation of every step of every one of our processes is essential, from charging furnaces with raw ingredients, through iron making, steelmaking, casting and rolling, to the manufacturing of tubes to exact dimensions, heat treating as required, and testing and inspecting to meet specified product requirements. 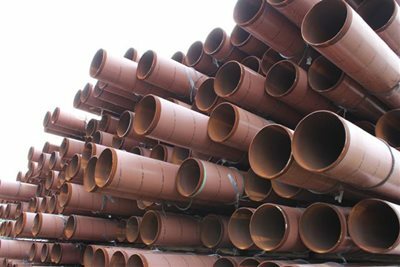 The U. S. Steel standard and line pipe offerings are widely used throughout the energy sector, both upstream and downstream. We offer both seamless and high frequency electric welded pipe to meet our customer’s specific requirements for applications in exploration and production activities, pipelines, construction, refining, and chemical and petrochemical facilities. The U. S. Steel Tubular Products Quality Management System is in full compliance with API Q1 and ISO 9001, ensuring that our products are manufactured under the control of an internationally recognized quality management system. All U. S. Steel Tubular Products pipe-manufacturing facilities maintain API licenses to manufacture and monogram products to API specification 5L. In addition, Fairfield Tubular Operations, Lorain Tubular Operations and Lone Star Tubular Operations are all ISO 9001 certified. U. S. Steel Tubular Products manufactures 30°, 37.5° and square cut end finishes, lengths up to 48 ft in seamless steel pipe or 54 ft in welded pipe, grades from grade B up to X80, and wall thicknesses up to .440 in welded pipe and up to 2.312 in seamless pipe (depending on OD & Grade). We produce a full line of API grades and proprietary grades to meet specialized customer needs, including HIC-resistant pipe and pipe grades with superior impact properties even under extremely cold arctic conditions. 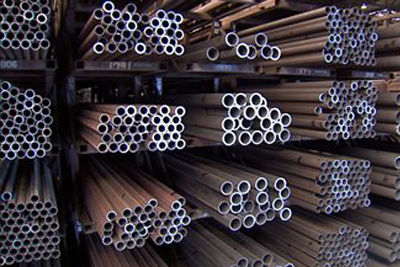 U. S. Steel Tubular Products are available through authorized distributors across North America. See our complete U. S. Steel Tubular Products Standard & Line Pipe Distributor list here. U. S. Steel Tubular Products facilities meet the certification standards of leading organizations that interface with our industry and our customers. We are API licensed, hold ISO 9001 certifications for our line pipe, and hold a PED certification. 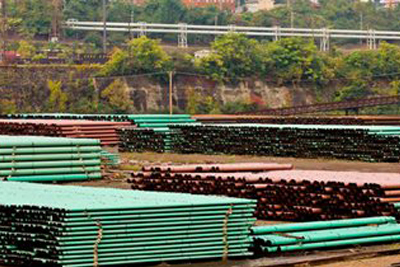 See the complete list of U. S. Steel Tubular Products certifications. For pipe sizes and grades not found in the sections above, please contact U. S. Steel Tubular Products at 877-893-9461 with your inquiry.